I come from a North Indian, VEGETARIAN family – however, I am blessed to have been brought up in a family that is accepting, flexible, and adaptable. Growing up, my parents never forced their vegetarianism on myself and my brother, and I am incredibly thankful for that. As fate would have it, I ended up marrying a wonderful South-Indian man, whose family eats lamb, goat, and more importantly – fish! 🙂 His family resides in Chennai, India, which is a coastal city in India where you can go to the fish markets in the morning and buy freshly caught fish from THAT morning! Reminds me so much of Fisherman’s Wharf in San Francisco :). The leftovers get even better since the flavors really soak in overnight, and I love serving this as a rice bowl the next day for lunch with steaming basmati rice covered with this delicious, fragrant fish curry. Heat the oil in a medium saucepan over medium heat. Add the mustard seeds and cook for 30 seconds or until the seeds begin to pop. Add the onion, garlic, curry leaves and stock to the pan. Cover and bring to the boil over medium-high heat. Reduce heat to low, cover and cook, stirring occasionally, for approximately 5 minutes or until the onions are soft. Stir the green chili, ginger, coriander, cumin, grated coconut, and turmeric into the onion mixture and cook, stirring, for about 1 minute and aromatic. Stir in the fish and coconut milk, and bring to the boil over medium-high heat. Reduce heat to low and cook covered, stirring gently occasionally, for 5 minutes or until the fish just flakes when tested with a fork. Taste and season the fish curry with salt and pepper, per your taste. Serve immediately with sliced red onion, fresh Indian bread, basmati rice, yogurt, and sliced cucumber. I learned this simple recipe from my fabulous mother-in-law who lives in Chennai. This is a typical dish from the Andhra region of India , and I found that cooking beans in hot milk is such a unique, yet simple way of bringing out the lovely flavors of the vegetable (not to mention, of course, that it is a healthy alternative to using cream or butter!). 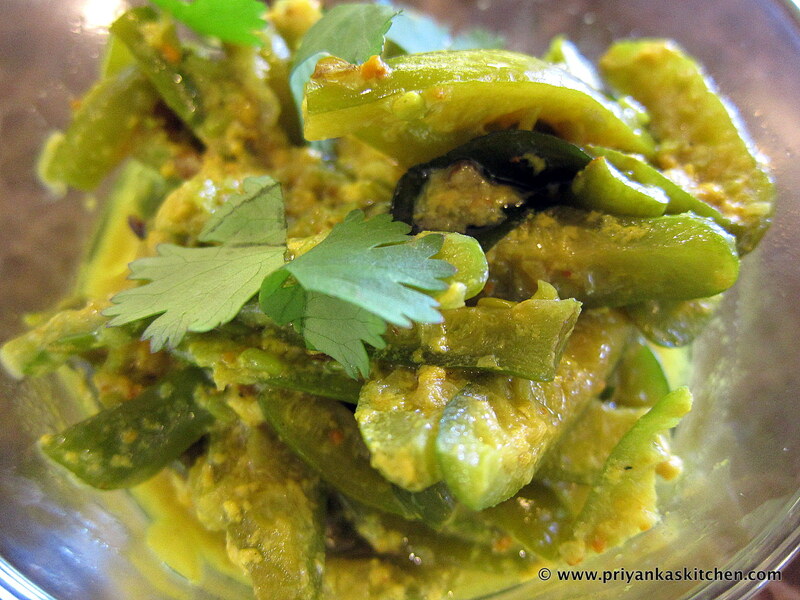 Andhra cuisine is typically on the spicier side, which is why this recipe includes split green chilis – if you are not a fan of hot spice, feel free to omit it. On the other hand, if you want additional spice, feel free to include some red chili powder into the recipe! You can find turmeric and fresh curry leaves at your local spice shop or Indian store. I love cooking this on a weeknight since it’s fast, easy, and healthy. Add oil to the pan and heat. Add curry leaves and fry them for about 1-2 minutes. Add chopped red onion and 4 split green chili to the pan. Cook for about 3-4 minutes, stirring occasionally. Meanwhile, heat a cup of milk in the microwave in a mug until you can see steam rising (approximately 2 minutes). Add chopped green beans, salt, turmeric, and hot milk to pan. Reduce heat and cook for an additional 3-4 minutes until beans are tender and ingredients are well incorporated. 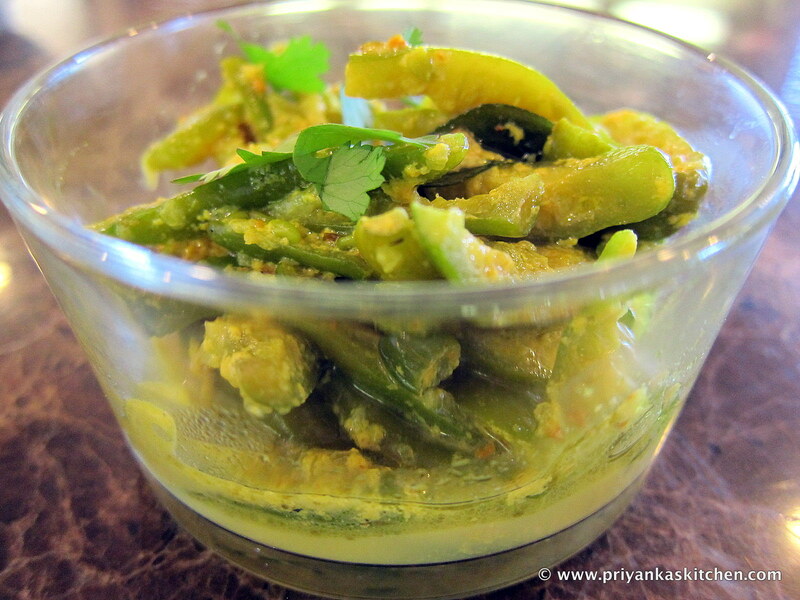 I learned this spicy recipe from my mother-in-law when I went to visit in Chennai and fell in LOVE with it! I’m always trying to find new ways to balance my meals between carbohydrates, protein, etc. to make sure we are getting the right nutrients, and I find this dish to be a great way to get protein in without going the meat-route. It IS spicy, so feel free to omit the green chili altogether or tone down the amount of chili powder. I use Madras Chili Powder which is even more potent than what is available at the local store in the states. Just remember that with any dish, you can always add more salt and spice LATER but it is more difficult to cut the salt or spice factor after you’ve already put it into your pan. So if you’re nervous about the spice, start slow and add later if you taste the need. 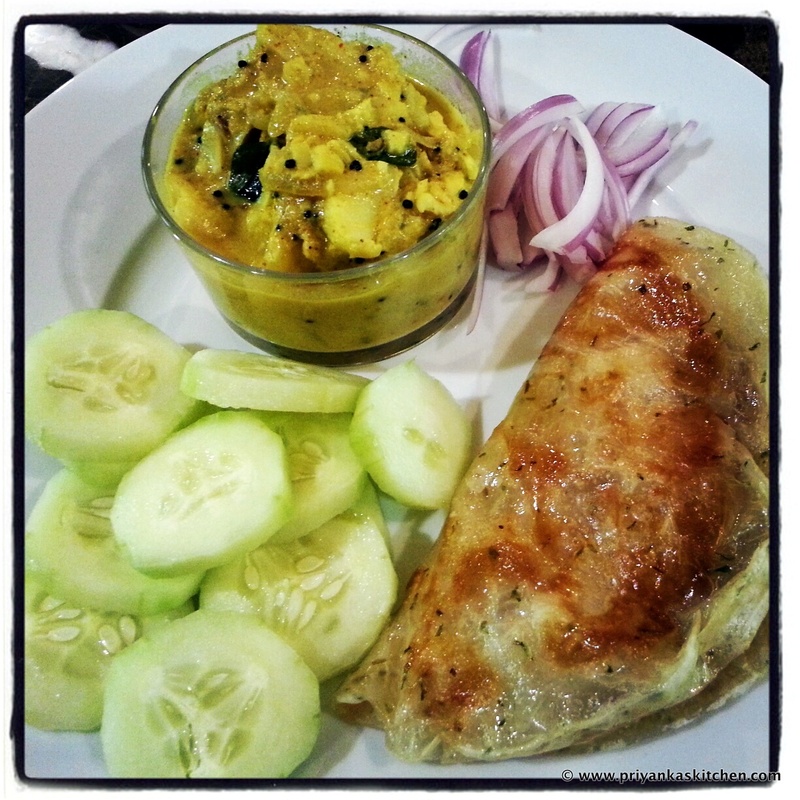 I hope you enjoy this authentic South-Indian egg curry as much as I do! Please note: This recipe does not yield a ‘soup’, but rather eggs in a little bit of spice gravy – if you want more gravy, add seasonings and add more tamarine water! In a skillet, heat oil over medium-high heat and add chopped red onion and green chili. Let it cook down for 2-3 minutes until tender. Add curry leaves and cook for an additional 2 minutes, stirring occasionally. 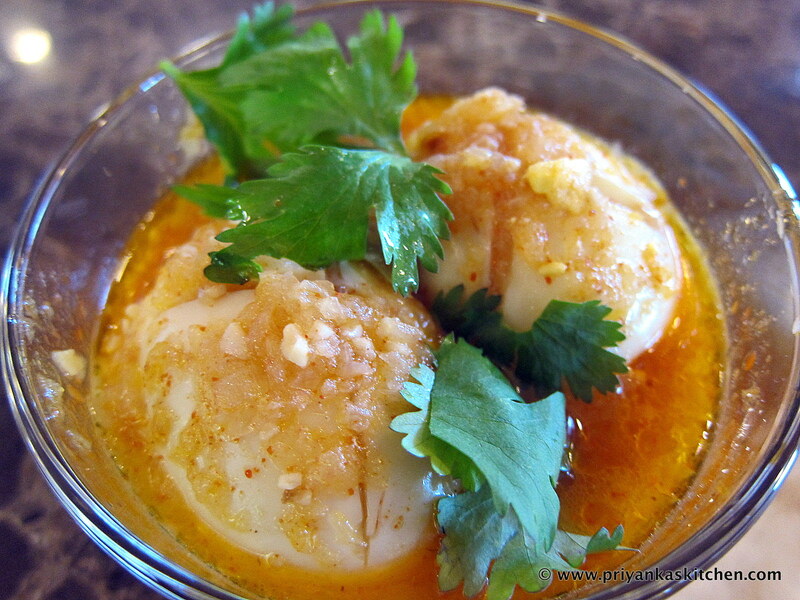 Meanwhile, slit each egg with an ‘X’ mark to allow the flavors of the curry to be absorbed by the egg. Make just a little cut and don’t cut through to the yolk! Add chili powder, Kosher salt, ginger, garlic, tamarine water (or tamarine paste with water). Cook for 1-2 minutes, stirring occasionally. Now add slit eggs, give the ingredients a stir and turn the heat down. Cook for 5-7 minutes and your dish is done! Serve hot and garnish with fresh cilantro and hot rice. Garnish with fresh cilantro if desired. Fancy Dishes to Impress With!